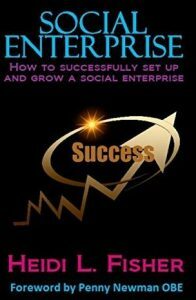 My book on social enterprise has got some great reviews so I’ve decided to launch a paperback version as well as the existing e-book version. Both are available from Amazon. Don’t forget 50% of the profits from book sales go to the Lewis Enterprise Foundation to help 100,000 children out of poverty around the world. “This book has been exactly what I needed to grow my social enterprise. It contains so much useful and interesting information in easy to understand chapters. I have bought a number of books that I thought would help me create and grow my social enterprise only to be disappointed. If you would like a copy it’s available from amazon as an e-book and now also as a paperback – just click here.